This post is written by Arpit Gupta, Stijn Van Nieuwerburgh, Kristen Sosulski, Harry Chernoff, and Sinziana Dorobantu. 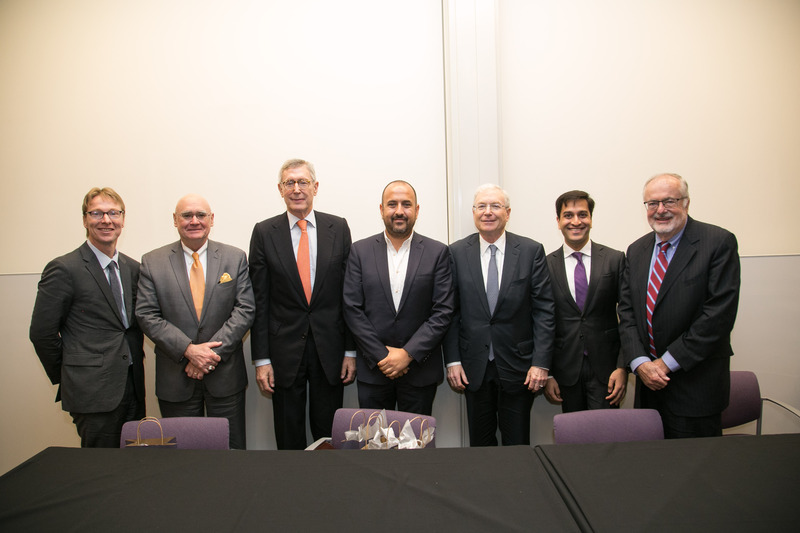 All at New York University Stern School of Business. Infrastructure Investment and Real Estate are closely linked. Infrastructure initiatives are catalysts in the economic development process, often with major external benefits that are reflected in the productivity and returns on both physical and human capital and on accelerating growth. Infrastructure can fundamentally alter the economics of real estate investments, on the one hand, while real estate development creates the need for and value of infrastructure. This inter-dependence is well understood by investors, policymakers and academics, and there is a rich body of applied research to draw on. A recent conference took a close look into three recent cases of joint infrastructure real estate dynamics in order to identify many of the key lessons. The cases presented were: The Second Avenue Subway, The Dakota Access Pipeline Project, and the Panama Canal Widening. The first panel of the day started with a presentation of new research by Stern Professors Arpit Gupta and Stijn Van Nieuwerburgh on the benefits of the Second Avenue subway extension. 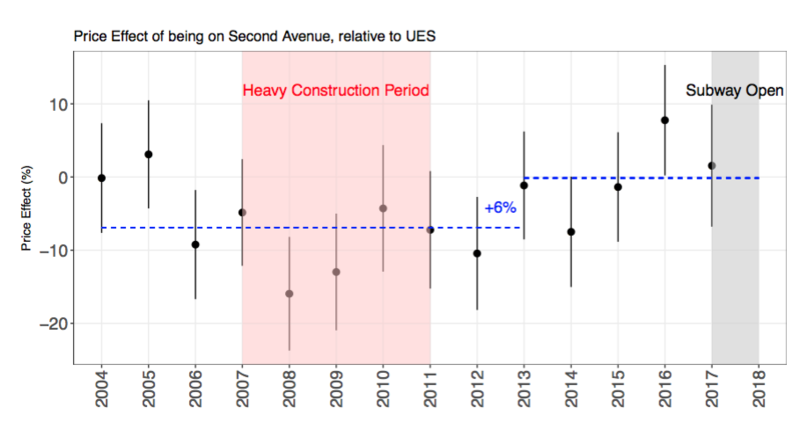 They found that the value of residential real estate along the second avenue corridor increased 6 percent after subway completion was assured, and relative to neighboring Lexington and First avenue corridors. This 6 percent gain partly reflects a rebound from substantial declines in real estate values during the heavy construction phase from 2007-2011. The authors calculated that a 6 percent gain corresponds to a US$4.4 billion benefit, which is just about equal to the US$4.5 billion cost of construction. Arpit Gupta then led a panel discussion with several of the major actors in the case. Philip Milstein (principal at Ogden) owns a large rental building (Normadie Court) on second avenue that pre-dates the Second Ave subway construction, but was nevertheless adversely affected by the subway construction itself and by the decline in foot traffic and retail activity during the heaviest stretch of the construction. Daniel Minkowitz (principal and Mink development) has a new condo building near completion and noted to the benefit of the new subway for his project. He noted changes in clientele and interest in the period after the opening of the second avenue. The conversation then moved to discussing broader aspects of who benefits from infrastructure, as well as who should pay. Participants discussed value capture: the idea that infrastructure developments could potentially be financed through taxing the incremental value generation on real estate properties near transit stops. Value increases on such properties reflect the capitalized gain of accessibility improvements. Dale Hemmerdinger (principal at ATCO), former MTA head, noted the high costs of subway construction, as well as the role of unions and political economy in driving these costs. He emphasized the ability for the city to do more in improving subway capacity on existing lines, without needing to engage in additional construction. He called on all New York citizens to demand better service and accountability. Tim McManus (senior VP at McKinsey) compared the Second Avenue subway with international projects, particularly in Hong Kong and London, where value capture techniques had been more effective. 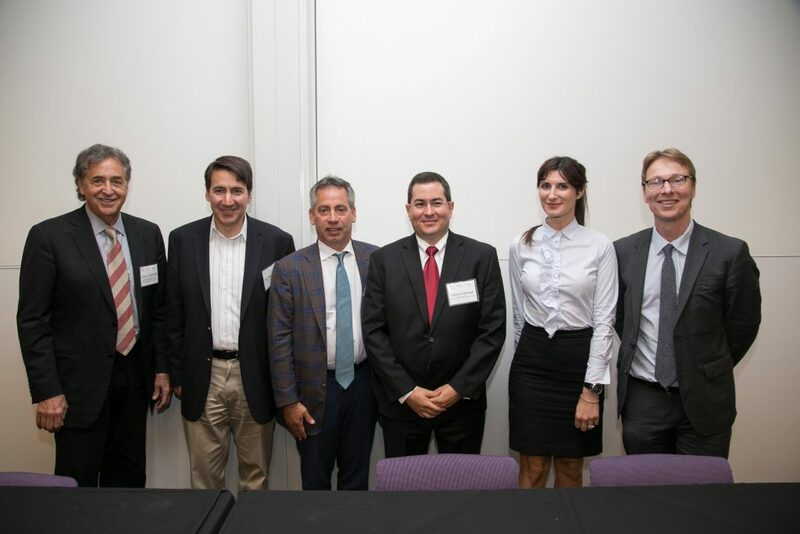 The conversation in the second panel of the conference highlighted the tensions created by the uneven distribution of cost and benefits associated with the development of large infrastructure and real estate projects. 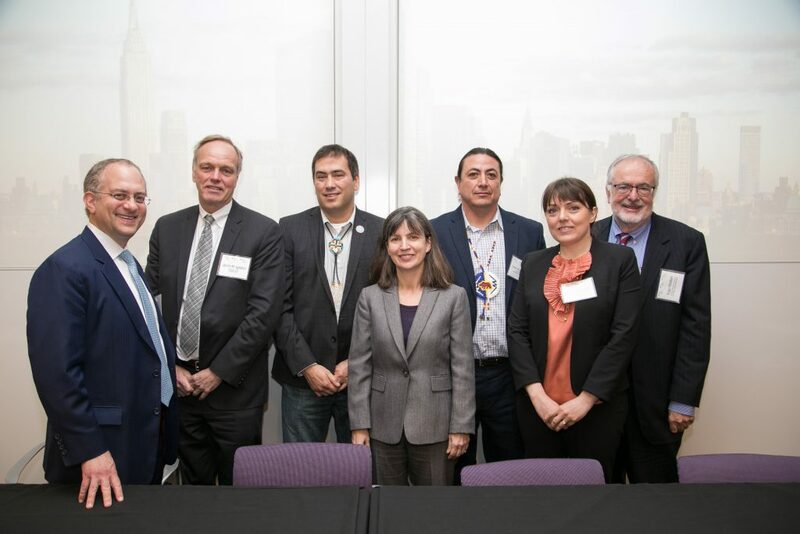 The panel focused specifically on the Dakota Access Pipeline (DAPL), a 1,200-mile 30-inch underground oil pipeline connecting the Bakken fields in North Dakota to a terminal in Patoka, Illinois. John Kingston of Freightwaves explained why oil shippers and refiners welcomed DAPL’s development, and why pipelines are generally viewed as the best mode of transporting crude oil over long distances. He also suggested, however, that for local communities along pipeline routes, disruptions in construction and operation and the risk of environmental pollution can create serious issues. Dave Archambault, former Chairman of the Standing Rock Sioux Tribe which vehemently opposed DAPL, and Chad Harrison, Executive Director of the Standing Rock Housing Authority, highlighted that the project created only costs and no benefits for the Tribe. The two speakers stressed that the development of DAPL felt like the continuation of a long history of land-takings and infrastructure-related costs that negatively impacted Tribes while creating few tangible benefits. The conversation then broadened to other kinds of infrastructure projects and to large real estate developments. Clive Lipshitz of Tradewind Interstate Advisors argued that sponsors or developers of major infrastructure or real estate projects have to be aware of all their stakeholders and ideally map them onto a credible risk matrix that captures how each group is affected by – and can affect – the project. Carefully thought-through outreach strategies need to build on an emphatic understanding of concerns and needs, and on efforts to build meaningful interpersonal relationships. 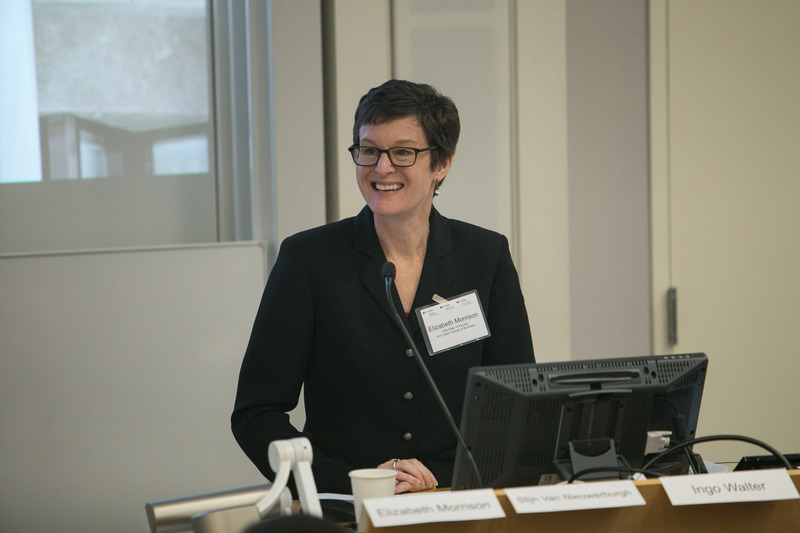 Linda Chiarelli, NYU Vice President for Capital Projects and Facilities, built on this point and argued that stakeholder outreach has to come from and involve executives at the highest level, starting with the early stages of a large real estate project. The panel discussion brought into focus the gains that can be achieved by identifying and anticipating conflicts that may arise in the course of developing major infrastructure and real estate projects with respect to key stakeholders. Smart diagnostics and early and effective engagement at the most senior level can reinforce good project economics by avoiding cost overruns, delays and in some cases termination – all in the context of today’s growing emphasis of Environmental, Social and Governance (ESG) considerations. 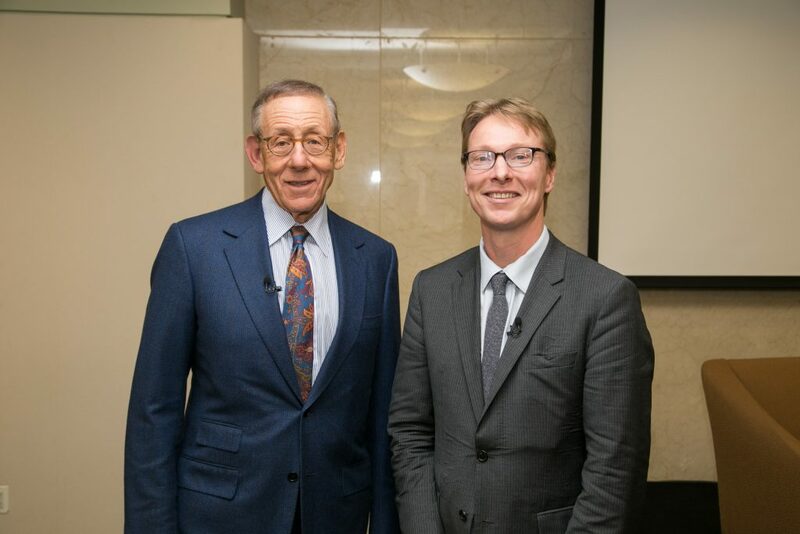 Stephen Ross, founder and chairman of the Related Companies, discussed the Hudson Yards project in conversation with CREFR director Prof. Stijn Van Nieuwerburgh during the lunchtime keynote. Related’s Hudson Yards project, bounded by 30th and 34th streets and between 10th avenue and the West Side Highway is a monumental 20 million square feet, $25 billion project that will create an entirely new neighborhood on Manhattan’s west side. Mayor Bloomberg rezoned the area in 2005 and initially planned to build a stadium as part of New York City’s bid to host the 2012 Olympics. The city spent $4 billion in infrastructure projects, chiefly the extension of the No. 7 subway line, investments that Ross call essential for the viability of the HY project. Related ultimately got the deal in 2008, acquired the site from the MTA, and started construction of a 10-acre platform over the eastern railyard in 2014. Since then half a dozen major buildings have gone up on top of the platform, most of which will be open by mid-2019. A second phase of the project, with a platform over the western railyard and construction atop is scheduled to be finished by 2026. The “work-live-play” concept will deliver a neighborhood where office, retail, apartments, and entertainment co-exist side-by-side. Relative to an old urban design where residential and business districts are separated in space, this arrangement may economize on commuting trip and reduce the burden on the existing transit system. The neighborhood will reflect the vision of several different architects, contain a new art venue, as well as new 150 feet tall interactive sculpture which Ross hopes will achieve the stature of the Eiffel tower. The second part of the conversation turned to the challenges NYC and the USA faces in delivering much needed infrastructure investment. Ross emphasized the need for reducing the regulatory burden and reigning in the costs. On the cost side, he highlighted some of the same excesses associated with labor union contracts (over-staffing, excessive pay for overtime) that were discussed in the first panel. Maintaining the U.S. and NYC’s competitive position requires political leadership to recognizes the imperative of investing in infrastructure projects with high long-term rates of return and with accountability to the citizens. The last part of the conversation turned to two technological trends that promise to affect cities for years to come. Ross believes driverless cars will fundamentally reshape how we organize our cities, with important implications for real estate values and power usage. Artificial intelligence and its repercussions on the labor market will intensify the need for affordable housing. Ross believes that micro-units hold some promise, but that the task is daunting. The Panama Canal expansion is a truly remarkable infrastructure project. Updating the existing Canal, first built in 1914 was no easy feat; it came with huge expense, politics, and litigation. A project costing over US$5.2 billion was necessary to keep Panama relevant. A country of approximately 4 million people and little in terms of natural resources, the Canal is their natural resource accounting for 30 percent of the country’s GDP. An expanded canal would allow for larger containerships to transit the Canal, translating to more cargo and an expanded revenue stream. The Canal was constrained by the size of its three locks which limited its capacity. Vessels were unable to use the Canal because they were larger than the 4,500 TEUs, the maximum size. By adding wider and deeper third lane to the Canal was the way to service the larger vessels. The Panamax containership, 3,400 to 4,500 TEUs, represented the greatest revenue for the Canal. Containerships accounted for 24 percent of ships going across the Canal in 2015, 34 percent of total tonnage, and 48 percent of total revenue. The world fleet of containerships has been moving towards larger vessels (12,000 – 18,000 TEU’s). By 2020, without the expansion, the Panama Canal would only able to service 32 percent of the world’s container vessel fleet. 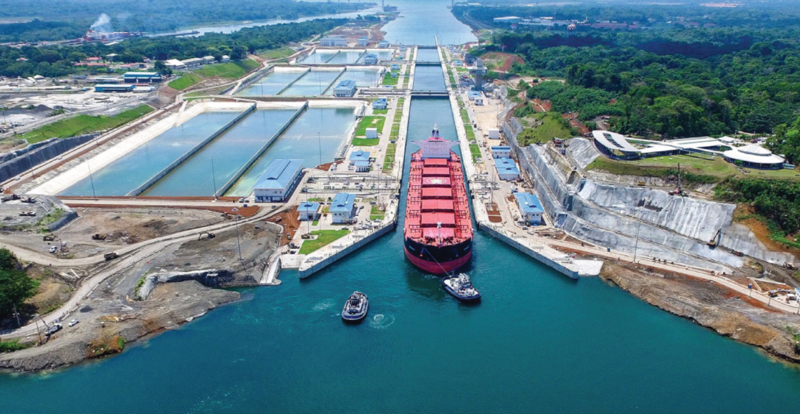 With an expanded canal, Panama Canal could accommodate 80 percent of the world’s containerships by 2020. The third lane expansion was designed to accommodate containerships carrying up to 14,500 TEUs. The cost for these vessels for one transit (approximately 48 miles) is US$1 million or more. Competition among the east coast ports and between the east and west coast gateways has exploded. Over the past ten years, container traffic has been shifting from the West Coast to the East Coast ports. The market share of TEU volume in 2016 is close to an even 50-50 split between both ports, a seven percent change from the 2006 division of 57 percent (West) versus 43 percent (East coast). Inland ports have also been developing, as larger ships make less stops (or port calls). Storage centers for e-commerce business, big box retailers, and warehouse tenants have expanded or relocated to more strategic positions in the global supply chain, closer to the major east coast hubs. The effect on the global shipping supply chain has led to new investment, major cost savings for the end-users and the creation of innovative opportunities and services for the logistics and real estate development industry. Overall, the creation of the Canal expansion infrastructure has caused substantial increases in real estate values in the ports themselves, and in surrounding areas.